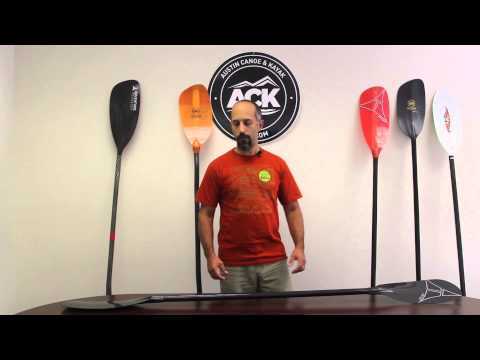 The Werner Sho-Gun CF Kayak Paddle is the ultimate creek and river running paddle. The large blade design is balanced to create a clean catch that is immediately powerful and smooth through out the entire stroke. Werner's largest Performance Core blade design, it is light and buoyant in aerated water and the balanced blade design is smooth and powerful from catch to release. The straight shaft is formed out of fiberglass for a nice balance between value and durability.